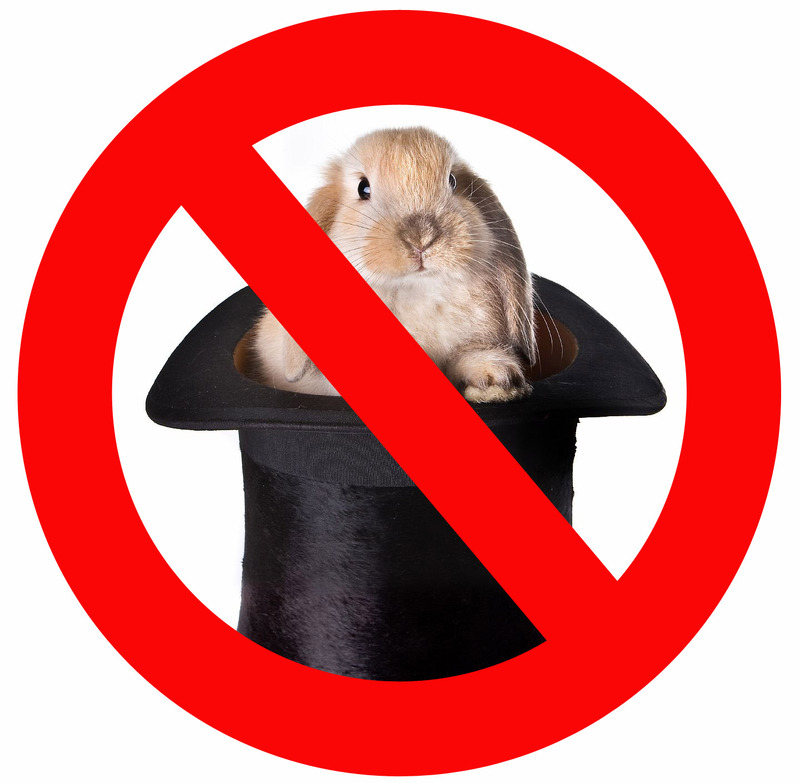 Isn't it time we separate ourselves from the Rabbit and Top Hat image? I think it's really way past time to discover new icons that will represent us. There are plenty of magicians who have moved past the image of rabbit/top hat, but there are also just as many who still embrace it. What we need is some re-imagining! I really like that term 're-imagined'. It's been getting a lot of use in Hollywood I think because they have no new ideas, so they just rehash old ideas. Though instead of using the word 'rehash' or 'recycle' which doesn't sound so hot, they use 're-imagined'. And frankly in some cases it's quite good. The STAR TREK Movie that came out in 2009 was a re-imagined version of the original series and that movie was fantastic. My favorite show on TV which is no longer on, Battlestar Galactica was a re-imagined version of the 1970s TV series and it too was incredible. The concept of reimaging doesn't always work. The Sci-Fi classic movie Planet of the Apes with Charlton Heston was redone by Tim Burton. It was an ok movie but no where close to the original or even the sequels. However the new 'prequel' which came out in August 2011, Return to The Planet of the Apes was superb! But there are countless examples of other movies or TV shows that were remade that are just dreadful. For a long time I've wanted to take this idea of reimagining and apply it to the world of magic. It can be a daunting task because there are so many facets of magic. There is the trick itself, the style of presentation, the character of the magician, the props used in the effect and on and on it goes. Any one single part could be changed and create an overall difference in how the illusion is perceived by the audience. It's often said that a product only needs to be 10% different to be called NEW. Personally, I think there are some illusions that are so seldom seen that they alone would appear as new. I recently took an effect that I had been doing for years, The Needle Through Mirror trick and revamped it. Not super drastic changes but just enough to be noticeable. It's a completely different effect now and it plays totally differently. If you read my other blogs you'll know my mind is stuck in the past. I love the history of magic and there are so many incredible wonders from the past that could be brought into the present. Again, subtle changes to make the old seem new again. Some might ask why reinvent the wheel? Then again, I say, why not make a better wheel?! So the process has begun for me, actually it began a while ago with reimagining my performance style, the types of effects I do and bringing out newer more original material. One thing I've learned, change is GOOD! I'm also in no way the first to apply this idea to magic. Creative people in our industry are doing it all the time. Often just by changing the look of a prop, or even the dress/costume of the magician, that is enough to create a whole new image. I'll be sharing more ideas about this in the future. I hope my fellow conjurers follow me on this journey, not copying what I'm doing precisely but rather taking the re-imagining concept and applying it to what they do. UPDATE 2: Oh the irony! My article starts out with the words, "Isn't it time we get passed the Rabbit and Top Hat Image," and now I've created a show where top hats are actually relevant, lol. Though I don't think you'll see rabbits.